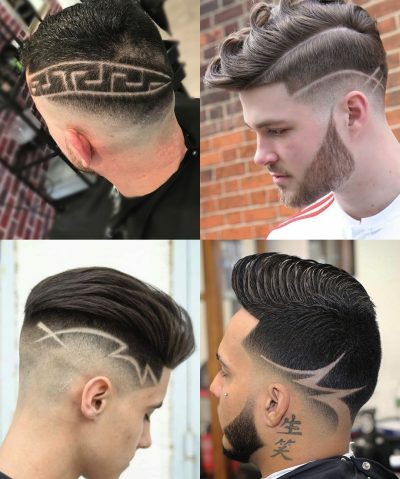 When you hear your barber say “punk hairstyle”, you may not immediately want to jump on the bandwagon. 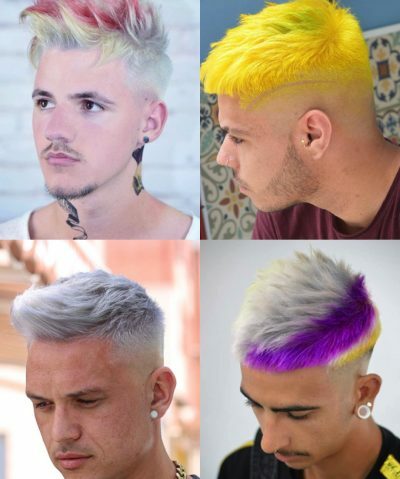 Not only does it sound like it’ll be a bit too colorful for your liking, but there’s also plenty of stigma attached to the punk hairstyle. You have a job you want to keep – and a girlfriend who won’t be too pleased. “No, thank you”, you’re probably thinking. Hold up, before you start googling “combover hairstyles” instead. 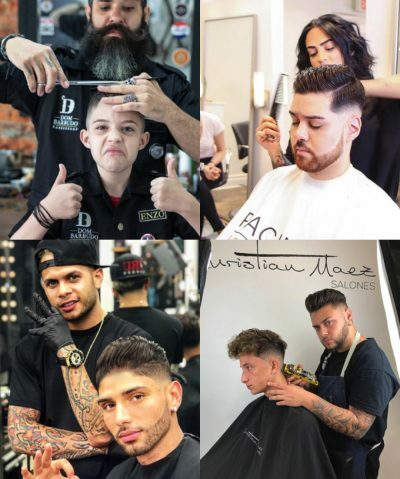 The modern-day punk hairstyles are actually much more than the mohawk that defined the 1970s punk subculture. 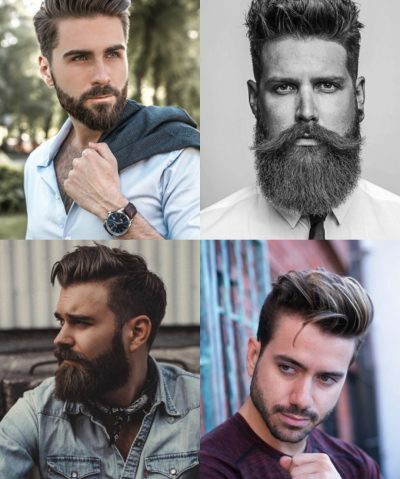 They’re all about sophistication and style – because they have successfully adapted to the life of a modern man. 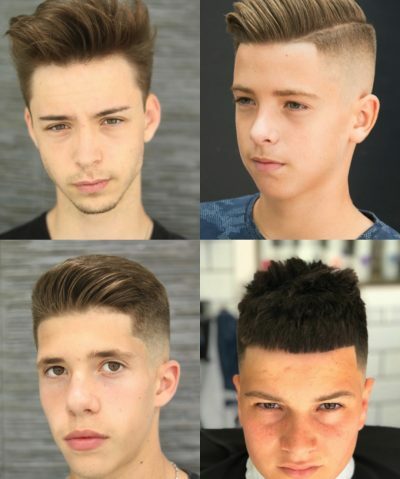 They’re descendants of punk hairstyles – meaning that they are better, more elegant versions of their predecessors. Spiky and messy elements remain the essence of the punk-inspired look, and they all stick to the well-known “shorter sides + longer top” rule. But they have been toned down quite a bit and complemented with a pinch of contemporary creativity. Which makes us exclaim, with confidence: punk-inspired hairstyles are here to truly thrive. Don’t believe us? Let’s take a look at these bad boys! Who says that punk hairstyles have to turn heads and make old ladies cross the street in avoidance? Not at all – a cool, punk-inspired hairstyle doesn’t have to cross the line. Take this guy as an example. 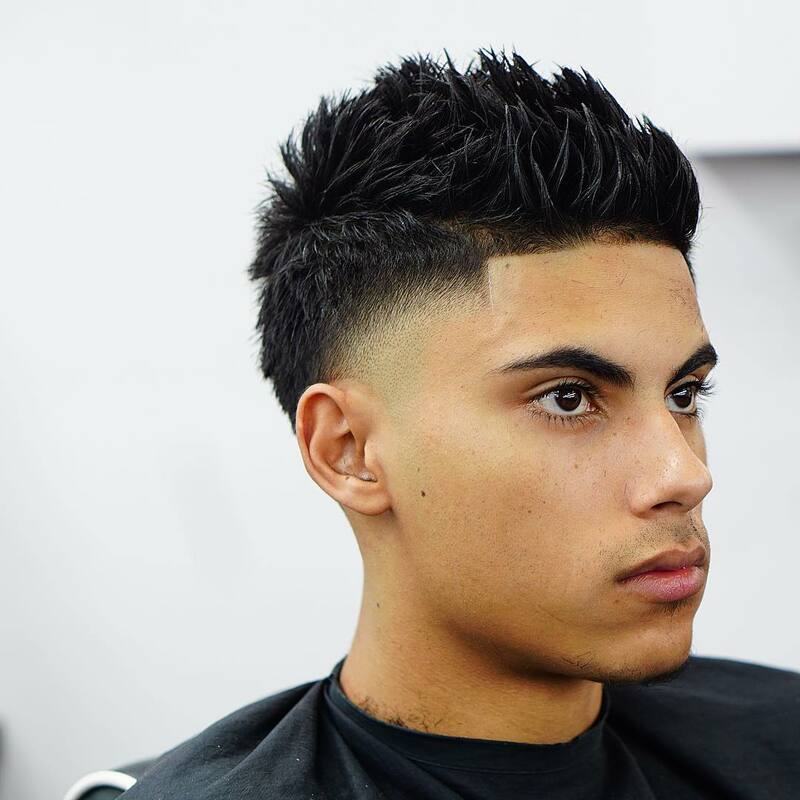 A mid-fade creates a nice contrast between the short sides and long top – and the spiked-up hair on top adds a bit of edge – but nothing alarming. If you have curly hair, you might be wondering whether punk hairstyles are even possible for you. The answer is yes – so don’t shy away! 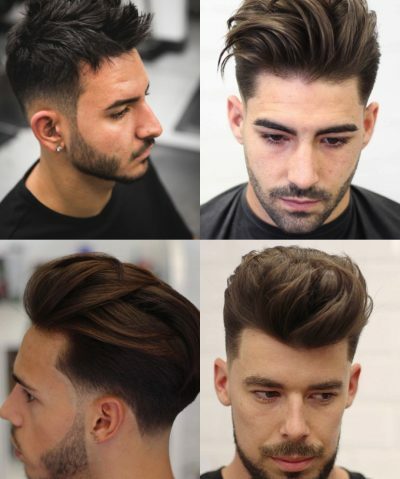 If anything, punk hairstyle will be even more unique on your hair since not many guys with curly hair go for these types of hairstyles. 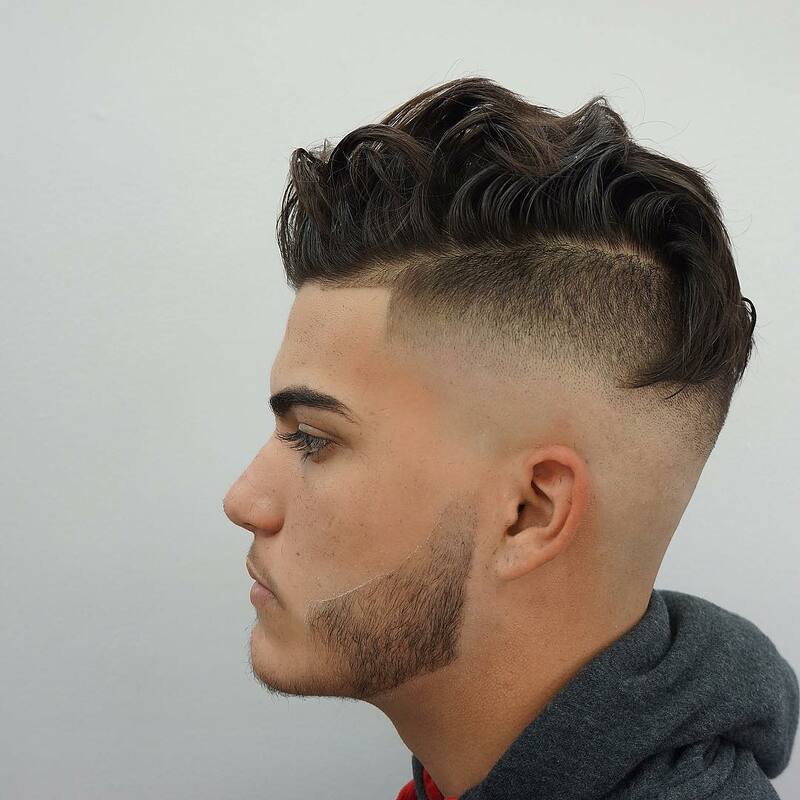 A nice and neat mid-fade will make things even more interesting! Life seems a little dull? All you need is some color in your hair! Whether that’s yellow, green or blue – you’ll definitely be cheering yourself up each time you look in the mirror! If you’re keen to experiment with a mohawk – how about making it super sophisticated? 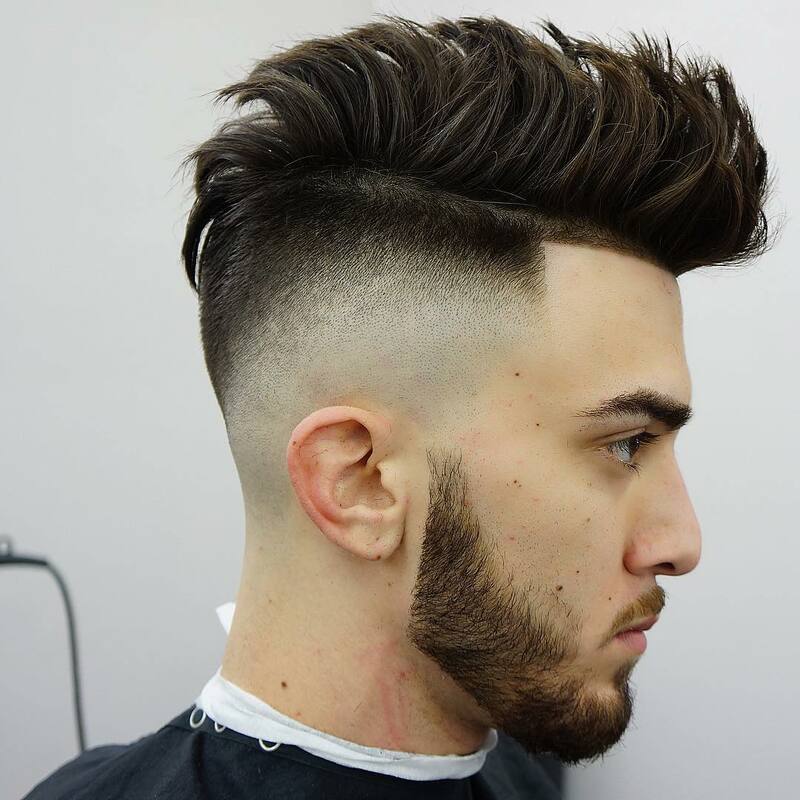 Like this charming, matte mohawk on medium-length hair. 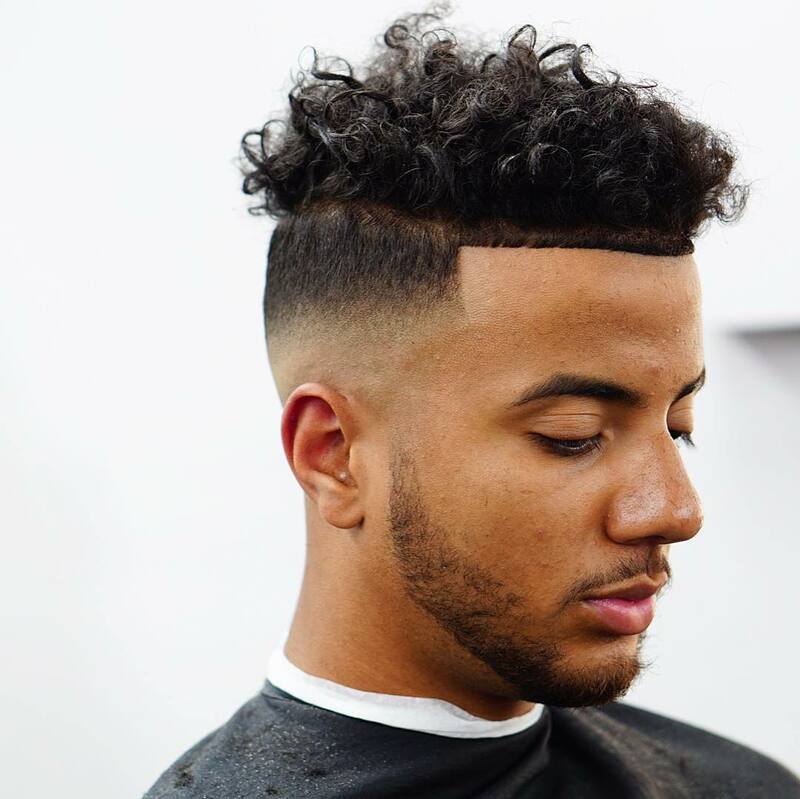 Some matte strong-hold pomade will help you achieve the look. Make your punk hairstyle stand out with a cool, shaved detail. It can be whatever you like – from a symbol that means something to you, to your favorite brand name – you decide! It sure is a way to spice up your cut. Been blessed with Afro hair? Lucky. 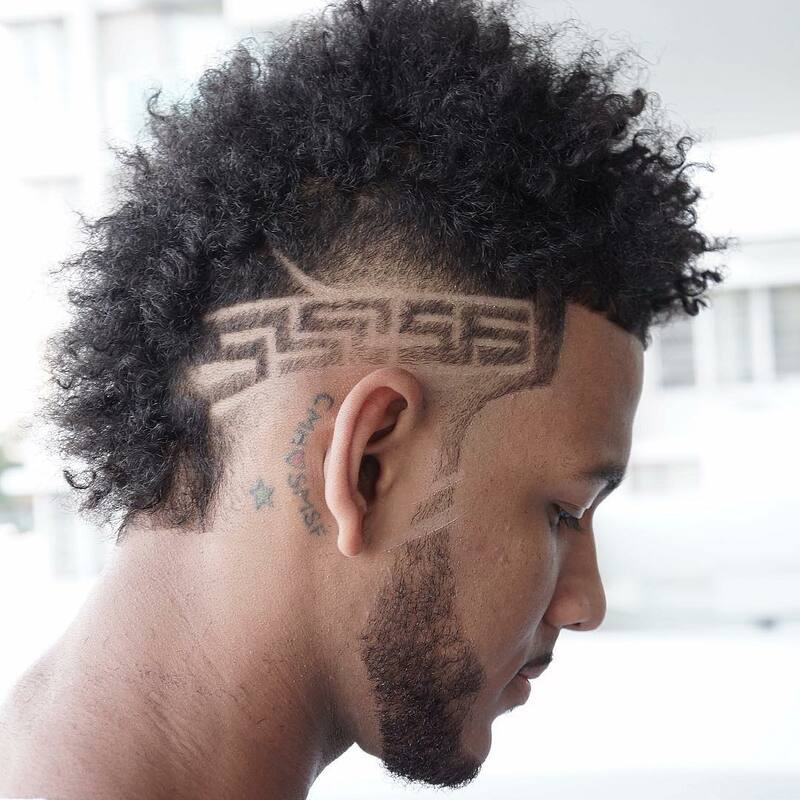 Afro hair will naturally stand in place, which is particularly advantageous when you’re trying to create a cool, punk-inspired hairstyle! 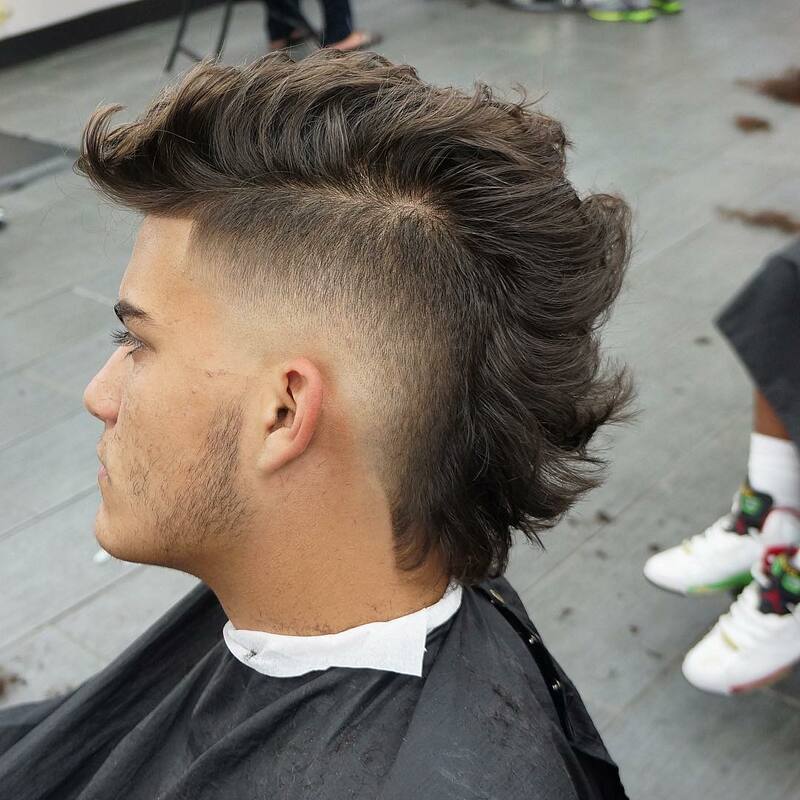 Somewhere between a fohawk and a mohawk, this hairstyle is dope! Use some wax or pomade to get your hair to cooperate – and reap the benefits (compliments!). Woah – that is some volume! Even the punks from the 1970s would be jealous! 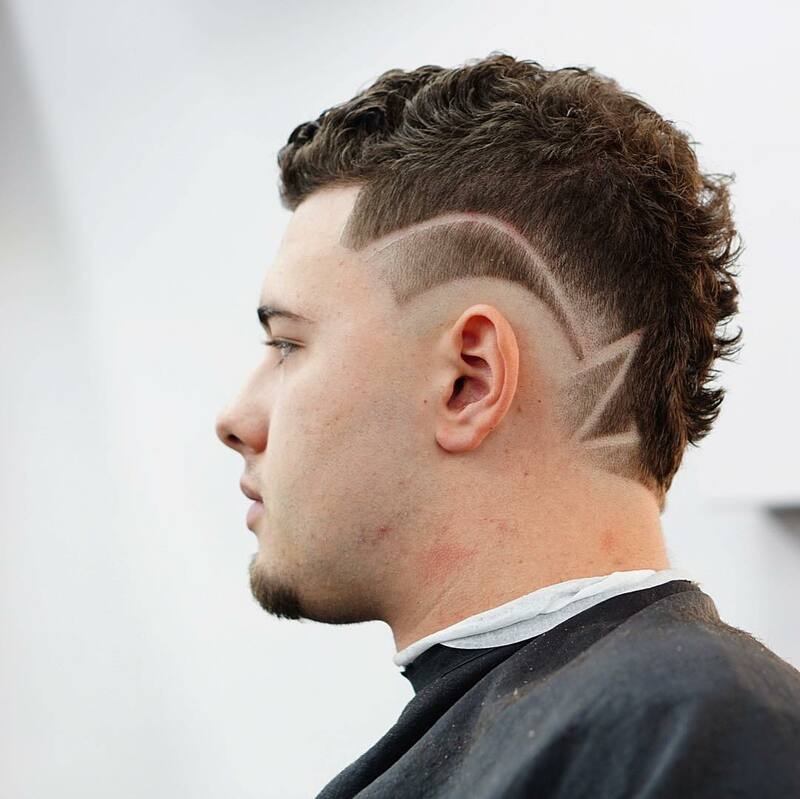 This high-fade punk-inspired look is fantastic for those who are looking for a way to stand out. If you’re into it, you could also dye the ends of your hair a different color for a more impactful look. Another out-of-the-ordinary look right in front of our eyes. 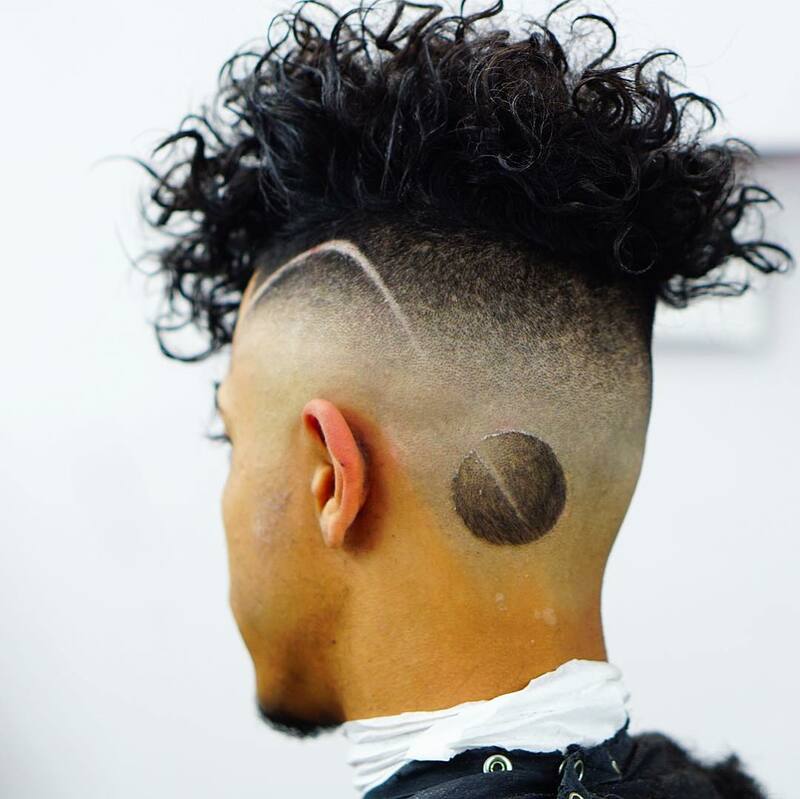 A creative man should be allowed to express himself through his hair – and that’s exactly what this guy has done. Now – whether he is really into meteors or whether he’s a werewolf – we’ll never know. But since we get to enjoy his hair nonetheless – we don’t really mind. A nice and quirky punk-inspired hairstyle for wavy hair. 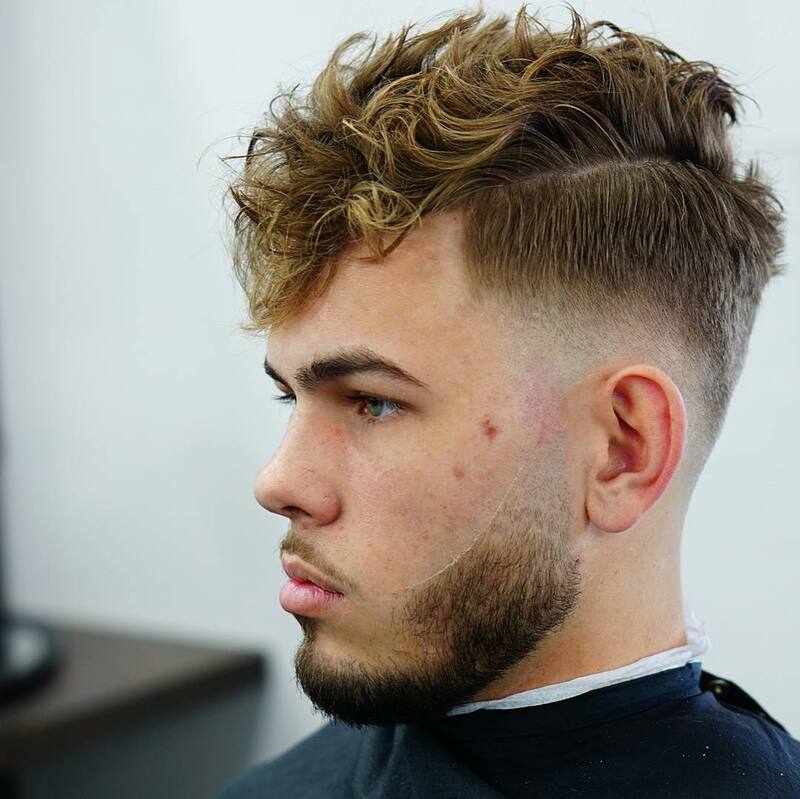 Finished with a cool mid-fade, this hairstyle is ideal for someone who doesn’t like to conform but doesn’t want to steal attention from everyone else. Nostalgic about the mohawk? 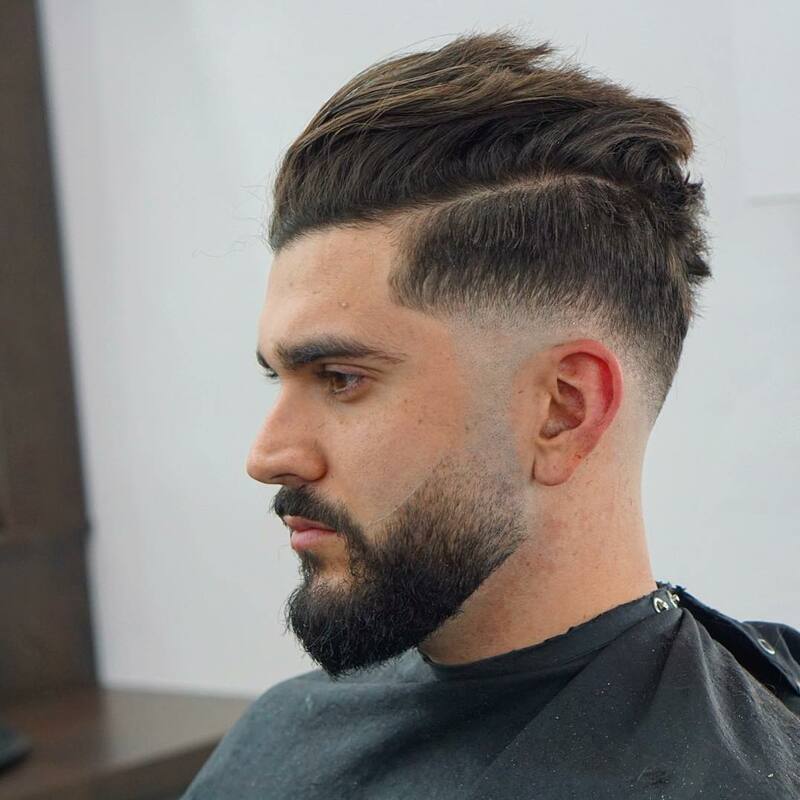 Go for this hairstyle right now and you won’t have to be. 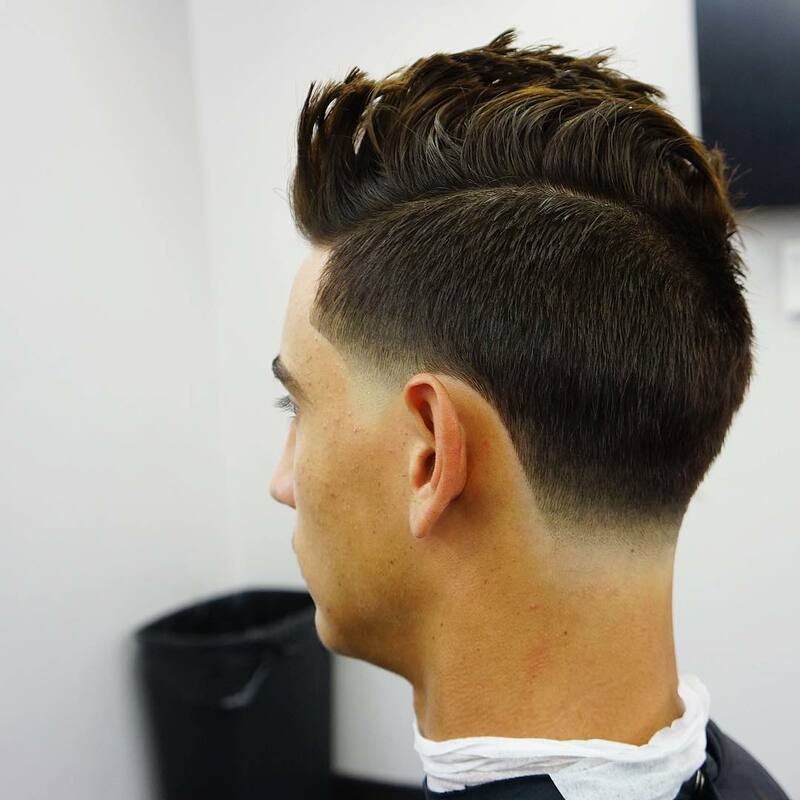 It’s perfect since the sides and back are not exposed, thanks to the stylish taper cut. Yet, it still maintains the mohawk’s edge. What’s not to love! A mohawk can also be a little more subtle. Ideal for someone who’s into the whole punk-inspired hair thing – but doesn’t want others to know. 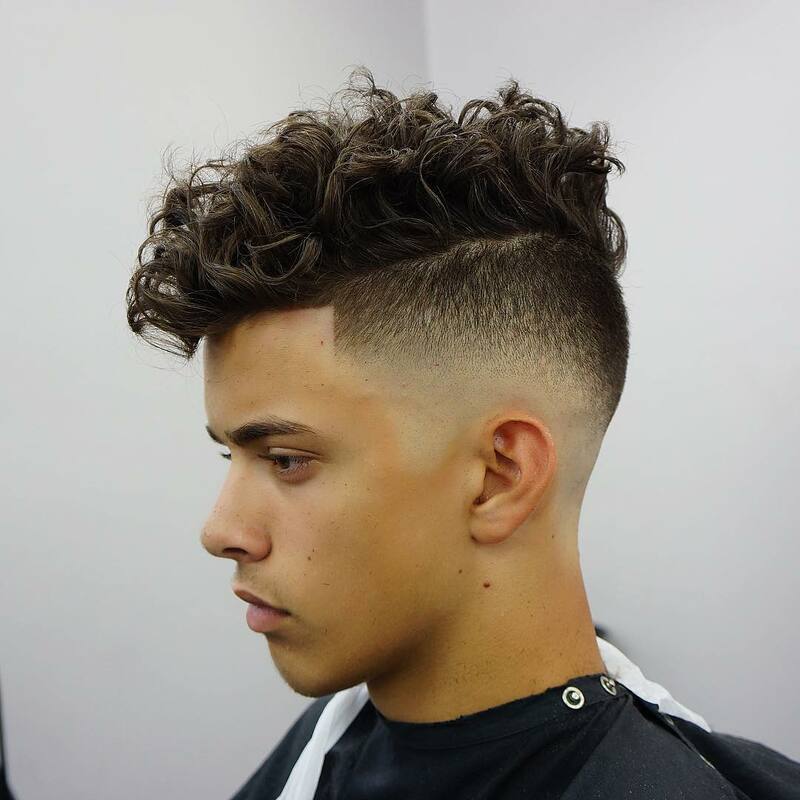 A fantastic punk-inspired hairstyle for someone who has naturally wavy or curly hair. The volume will be easy to achieve because it’s naturally there. That means less styling effort and more play time! 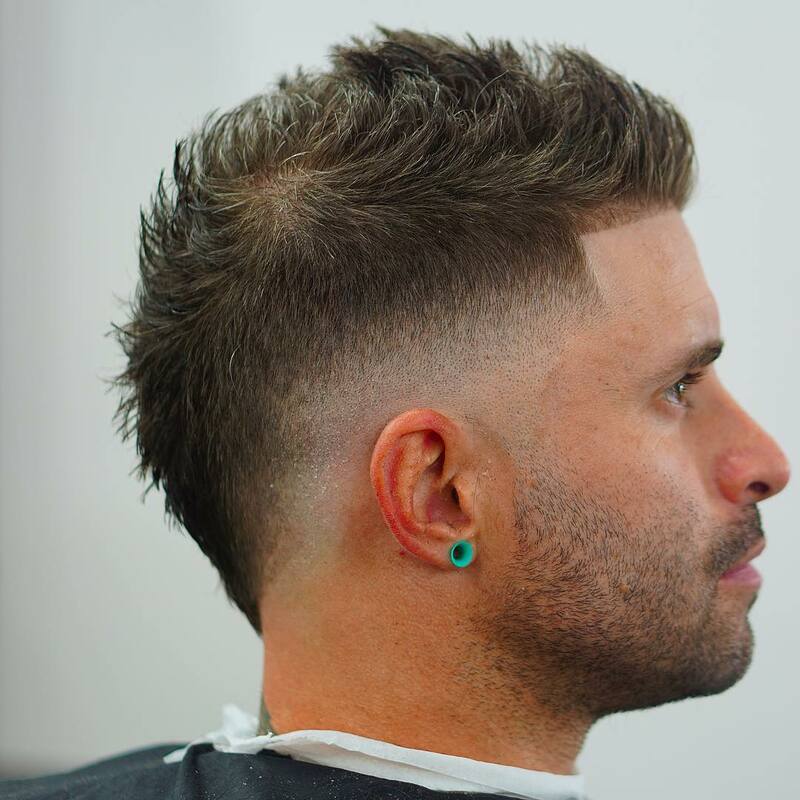 If you’d like more or a contrast, choose a high fade or an undercut. 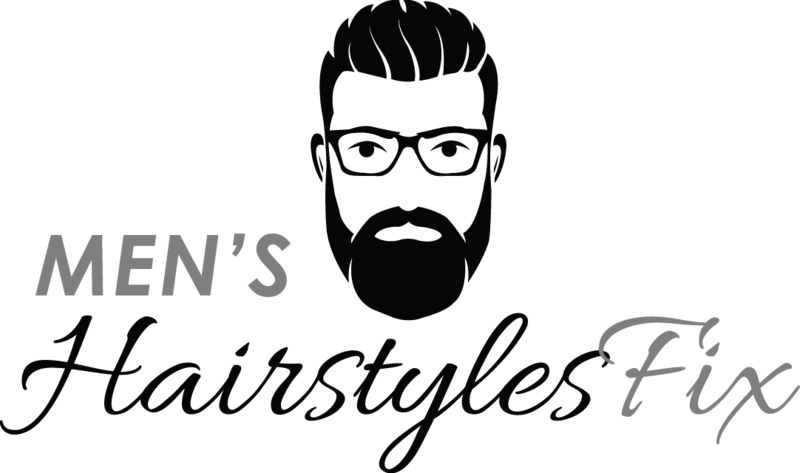 A cool hairstyle for a man who likes having his hair swept back – but in a cool, unruly way. 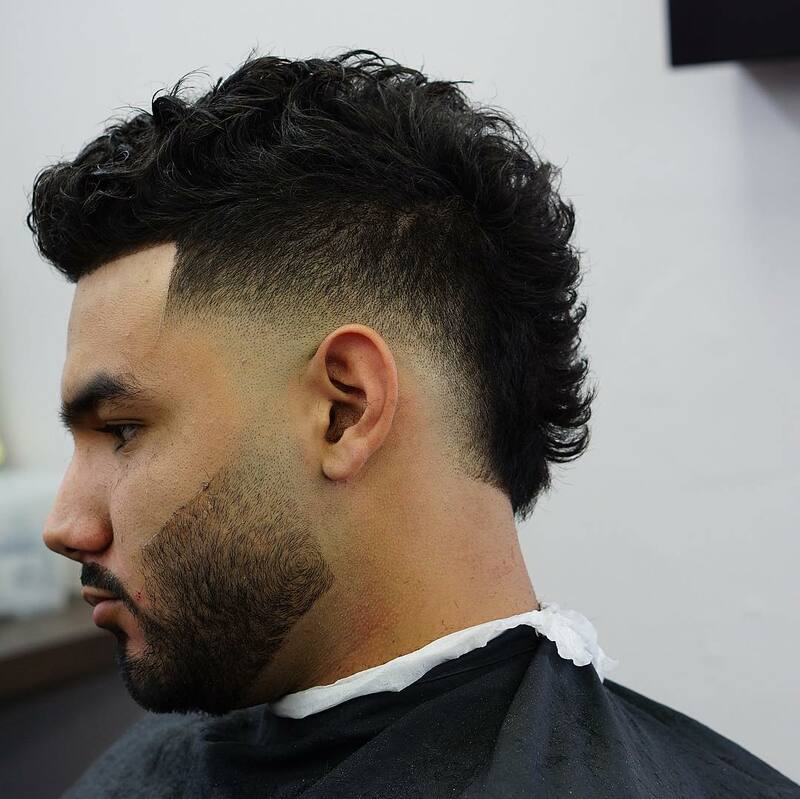 Combining these two elements will give you a trendy, urban hairstyle that isn’t too “out there”. Worried that your hair doesn’t have enough length for a mohawk? Wrong – any length of hair will do. 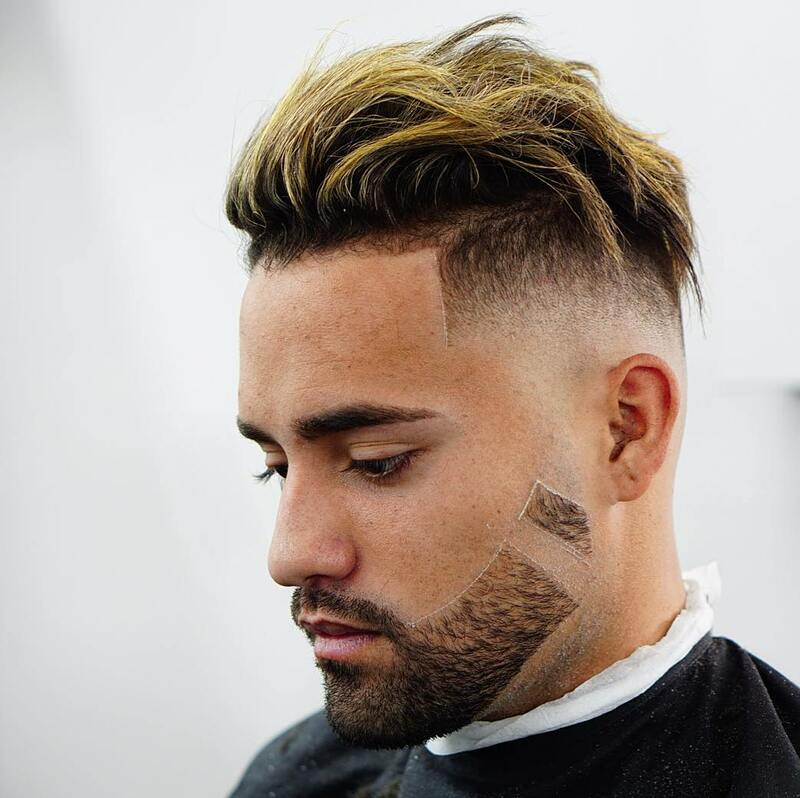 All you have to know is which products to use to help you achieve the look, plus some basic skills of turning your hair into a mohawk. This guy has nailed it – and so can you!